As Gulfood celebrates innovation amidst new product launches, the 2018 leg of the food trade fest is expected to be bigger and better in presence of more than 5,000 exhibitors showcasing products across eight primary market sectors. 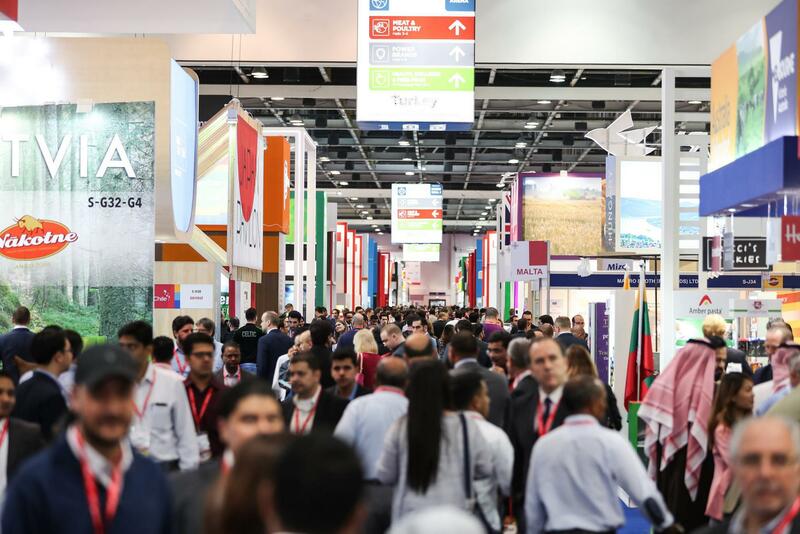 Following a record 2017 edition that welcomed more than 97,000 visitors across 1 million square feet of exhibition space, Gulfood, the world’s largest annual food event is placing innovation at the heart of its 23rd edition. The event will be taking place from February 18 to 22, 2018 at Dubai World Trade Centre. As the global Food and Beverage (F&B) community gears up for this principal opportunity to source the latest and best products at the best price, Gulfood is promising a range of new services and innovations to reflect changes in consumer demand. Buyers can look forward to meeting more than 1,000 new-to-show food and beverage producers that have been hand-selected to deliver greater volumes of consumer-oriented products. These include health and wellness categories such as organic and sugar-free plus third-wave coffee varieties and new taste and texture innovations across the board. Fats and Oils – Olive, coconut, sunflower and other plant-based cooking oils; ghee, etc. Health, Wellness, Free-From- Organic, vegan (plant-based dairy replacements), gluten-free, enriched & fortified foods, etc. Pulses, Grains, Cereals- A wide variety of grains, beans, rices, cereals, etc. Meat and Poultry – Grass-fed, corn-fed, free-range, etc. 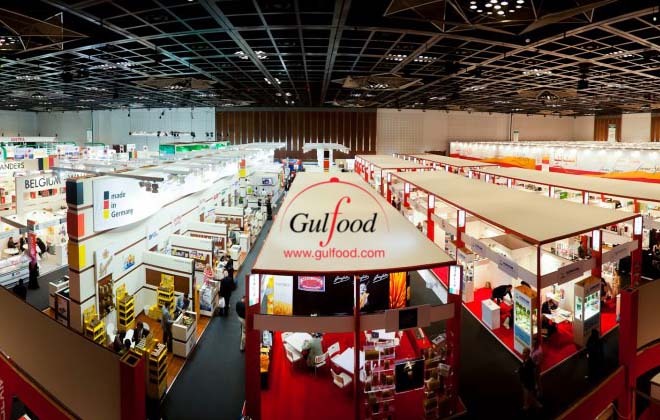 “Gulfood is an important show to meet and develop relationships in the Middle East, Gulf Cooperation Council (GCC), South Asia and Africa,” Almond Board Of California stated. Gulfood Innovation Awards finalists will also form an integral part of the Innovation Zone showcase, with 2018 award winners being announced during the prestigious annual awards ceremony. Additional networking features include a series of government accredited fringe seminars running throughout the exhibition and live pitch demonstrations from some the most exciting global startups on the scene. France is set to highlight the latest French products on a surface area of 800m² across four halls: fine food in the world food section in Sheikh Saeed Hall; dairy products in Hall 1; meat and poultry in Hall 3; and drinks in Za’Abeel Hall. For the first time at Gulfood, visitors will be able to witness a live cooking show provided by Cordon Bleu, a French Culinary Arts and Hotel Management Institute. It will be held the whole week in Sheikh Saeed Hall and will be undertaken by chefs Nicolas Houchet and Emil Minev. The Cashew Export Promotion Council of India will be organising participation of Indian cashew exporters through CEPCI Pavilion at Gulfood 2018 in order to promote cashew exports from India. UAE is the highest importer of Indian cashew kernels from India. In 2016-17 India exported 18556 metric tonnes of cashew for INR 12.167 billion to UAE followed by 17515 metric tonnes of cashew for INR 11.029 billion to USA. Saudi Arabia, Japan, Netherlands, Germany and Belgium are the next biggest importers of Indian cashew kernels. India Gate, the flagship brand of KRBL Limited, catering to world-class basmati rice will also be present at Gulfood 2018. India Gate exports basmati rice to the UAE, Nigeria, Ghana, Maldives, Australia, Singapore, Thailand and the United States among other countries. According to government estimates, India currently stands at sixth place in the global food and grocery market, but its share in food items exports is just 12 pc which the government hopes to boost up to 20 pc. Exports of some items have seen sharp rises over the past five years such as prawns – registering a rise of 17 pc between 2012-17, while grapes and turmeric exports have grown by 12 pc. As such, Indian food exporters plan to utilise global stages like Gulfood to further push the numbers across the myriad untapped sectors. “Gulfood is the most dynamic sourcing platform for all those involved in the business of food. It is a weathervane to emerging trends and it enables suppliers and procurers to adapt their business plans to meet consumer-driven developments,” said Trixie LohMirmand, Senior Vice President, Exhibitions & Events Management, DWTC.